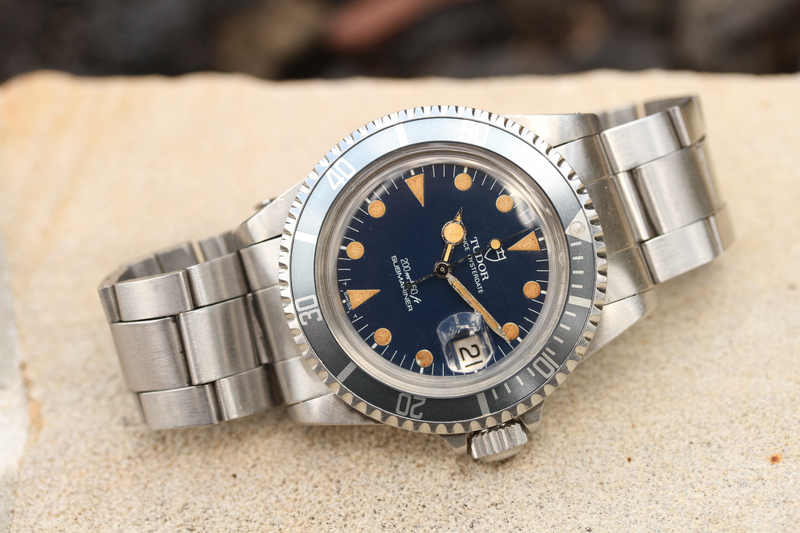 Excellent Blue Lollipop in Unpolished Condition! 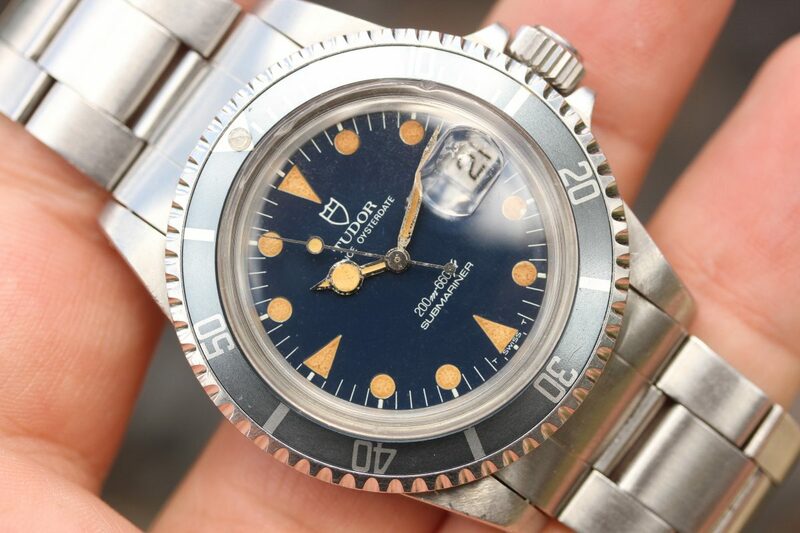 Excellent vintage condition case with factory finishes and chamfers. 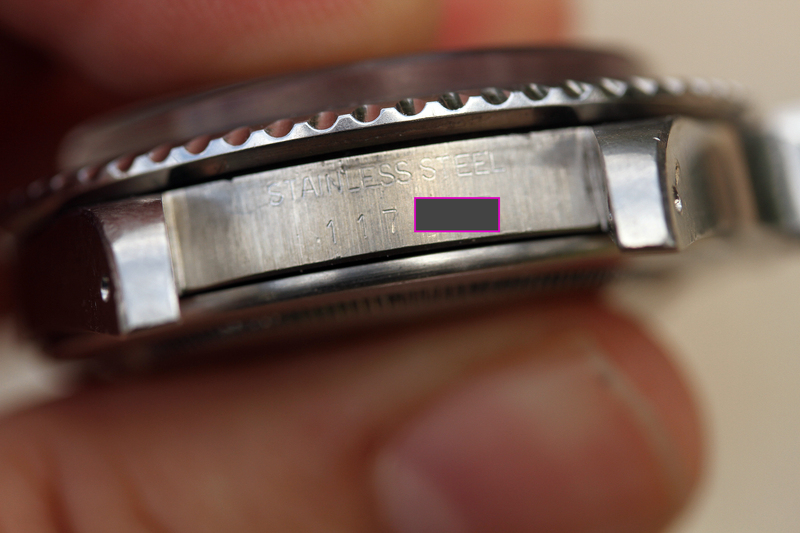 Case appears unpolished. 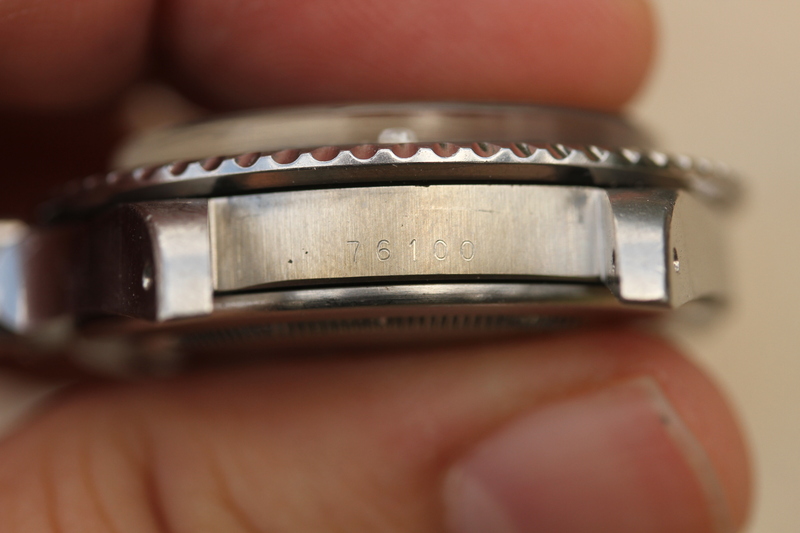 Clear numbers between lugs. 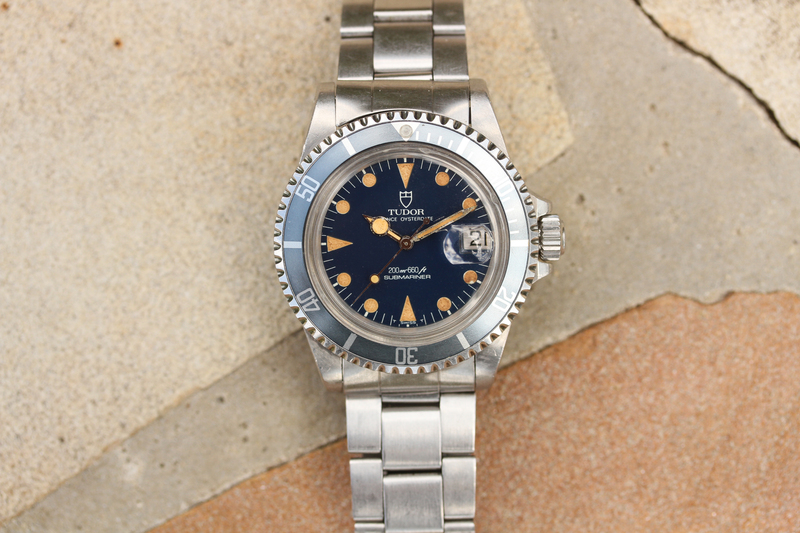 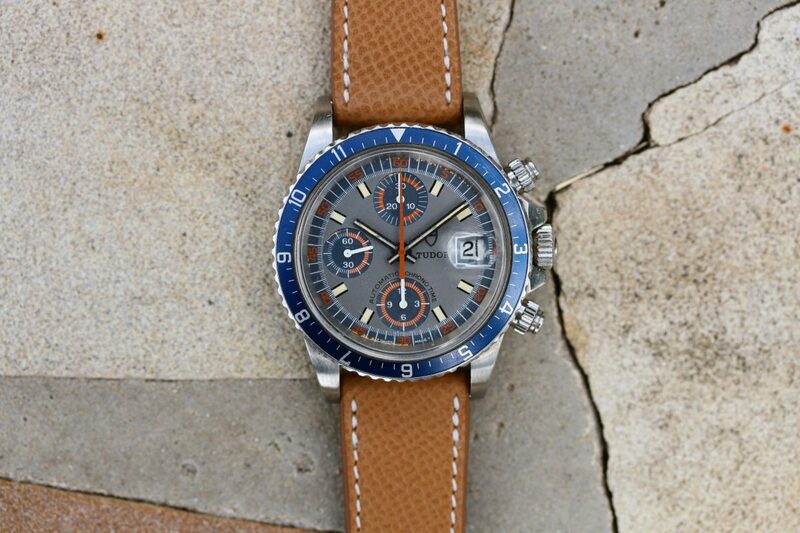 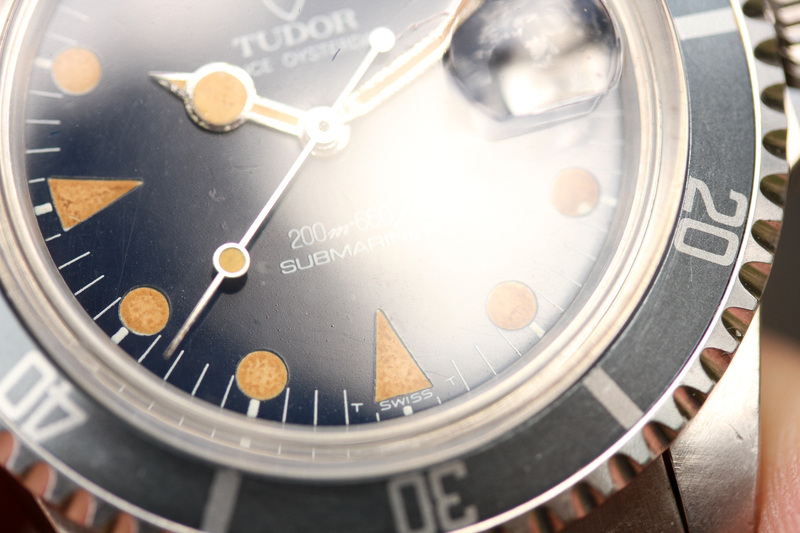 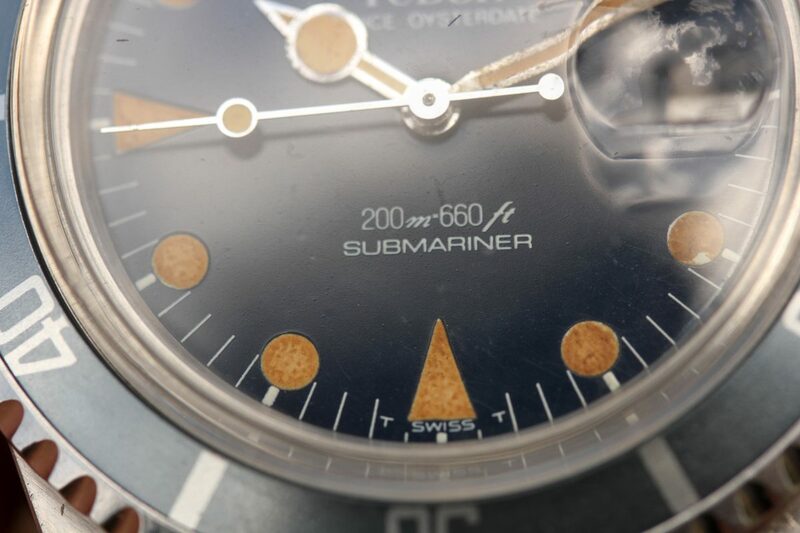 Factory original vivid blue dial with orange patina on plots and original hands. 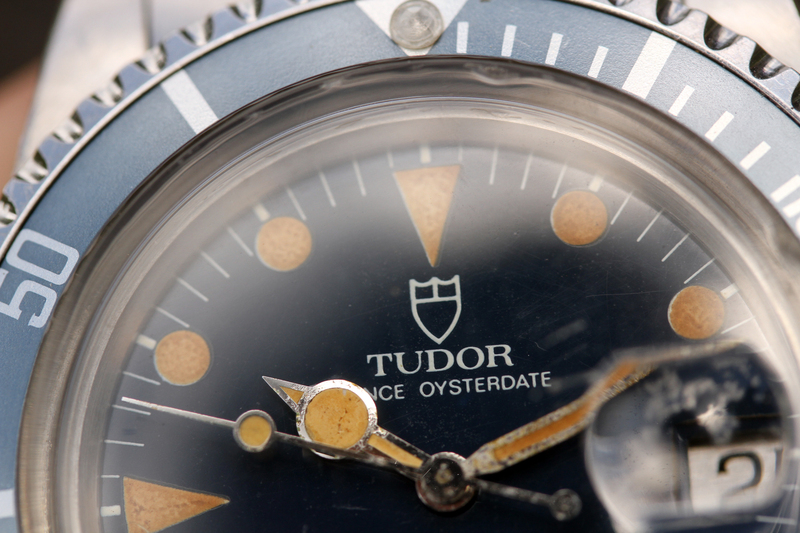 Original “Lollipop” hour hand. 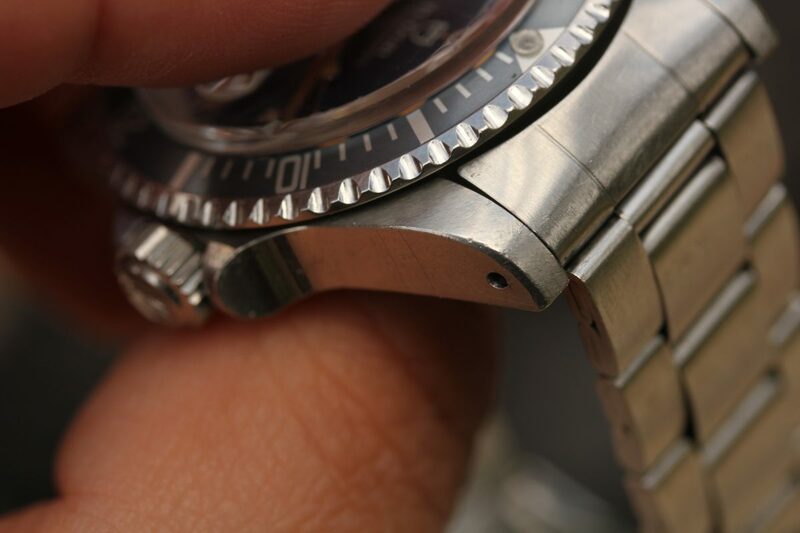 No relume, no refinish. 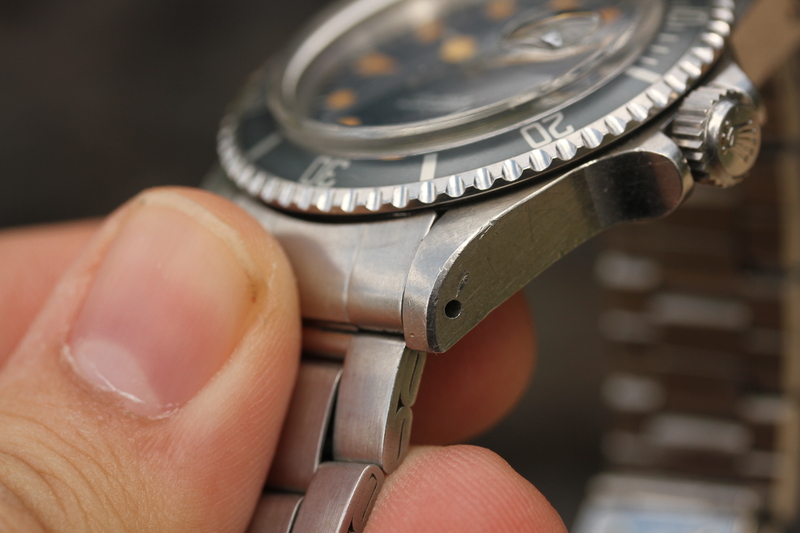 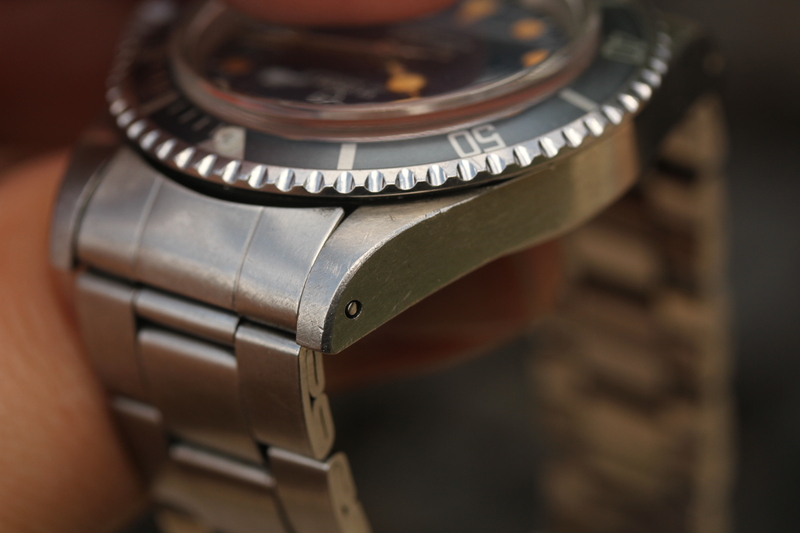 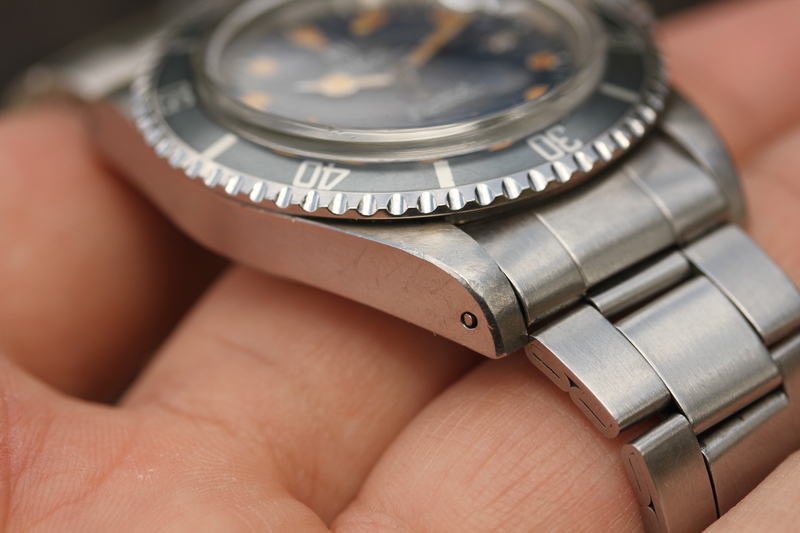 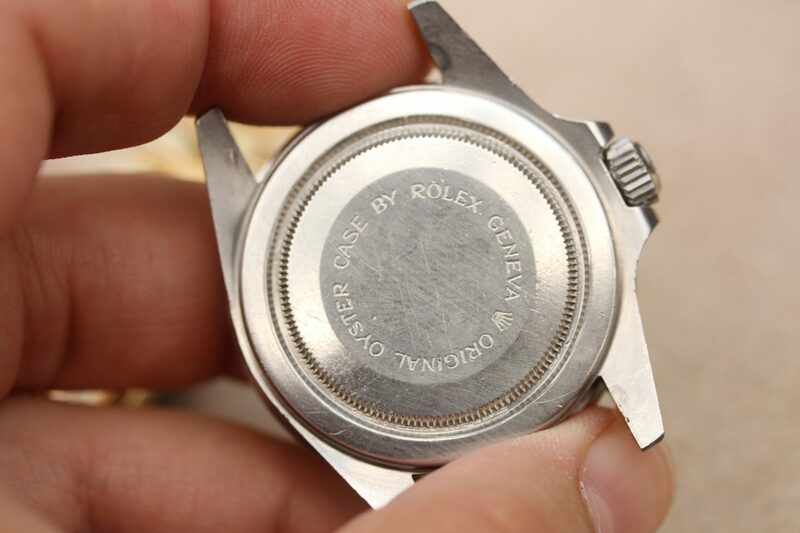 Bezel insert is original with faded “ghost” gray color. 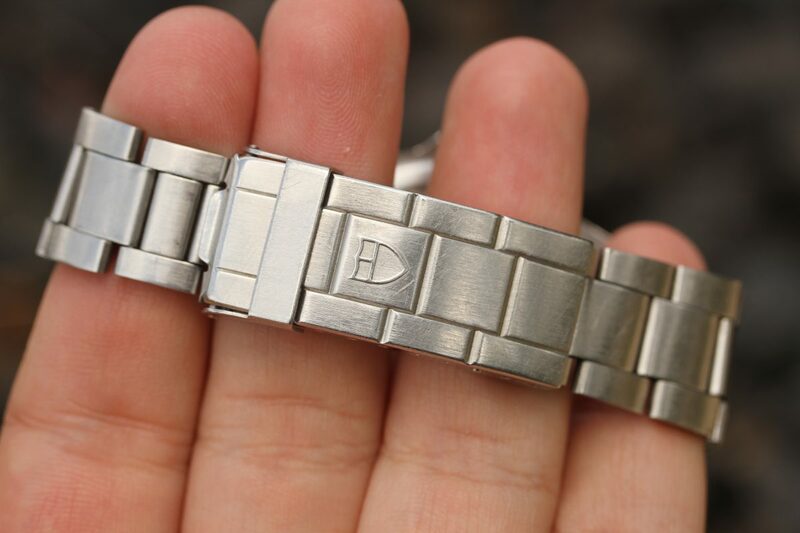 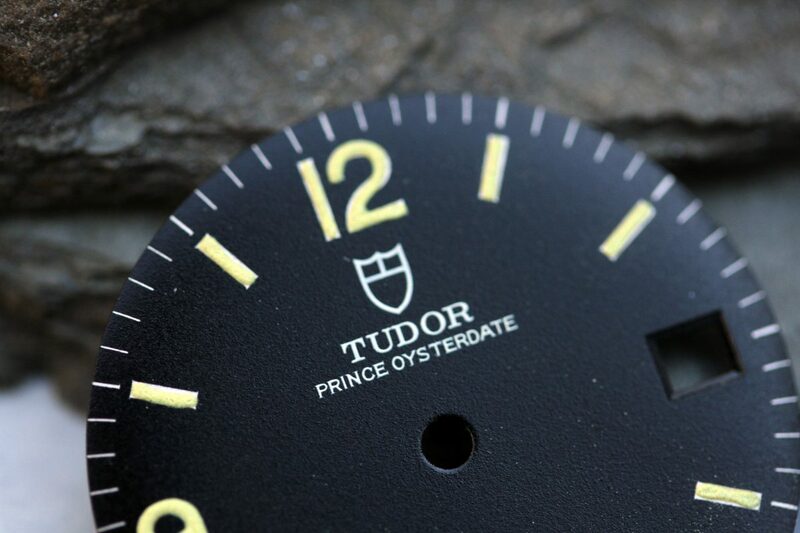 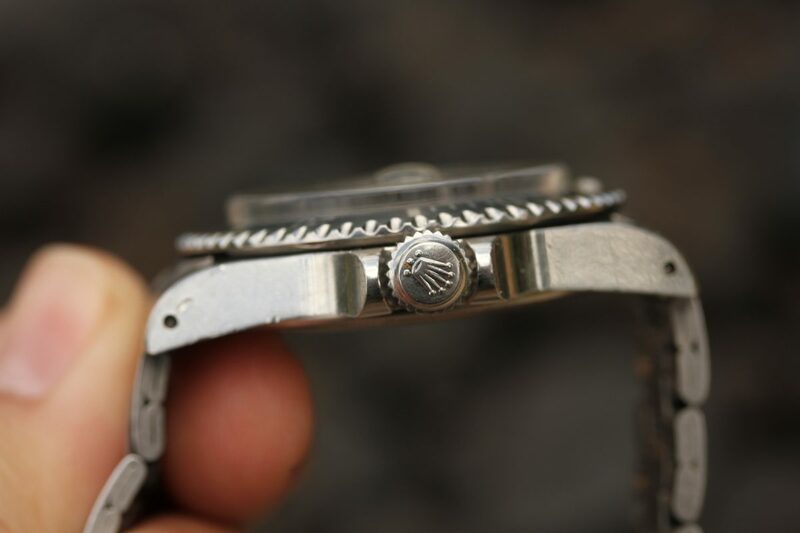 Bracelet is Tudor 9315 with 10 links, 380 ends, J date code.